Detective Paula Newberry is not fairing much better as her integrity is called into question and the evidence against her for multiple crimes begins to mount. As a former Internal Affairs detective, Paula had ample opportunity to build a long list of enemies. Her prime suspect for this personal attack is in prison. His alibi is ironclad. Who on the outside is helping him? And, why? As the body count rises, local politicians want somebody’s head. They don’t care whose. With stakes as high as these, the partners have each other’s backs, working together to find a stash of missing street drugs, put a group of corrupt cops out of action and resolve dilemmas on the home-front. 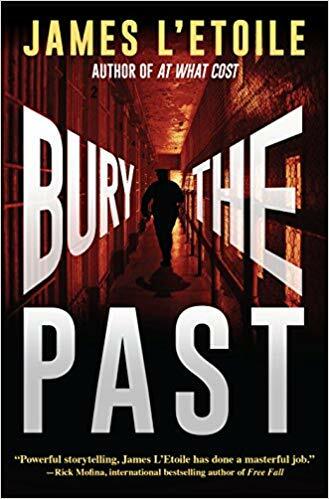 Fans will be more than ready for the third installment in A Detective Penley Mystery series after reading Bury the Past. James L’Etoile has a Masters’ Degree in Criminal Justice and twenty-nine years of experience working within the prison system: Associate Warden, Director of Parole, Chief of Institutions and Hostage Negotiator. He resides in Cameron Park, CA with his wife, Ann-Marie, their Corgi, Emma, and a part-time cat named Case. For more information: https://jamesletoile.com. After thirty-three years and seventy films (including Harry Potter, The Matrix trilogy and Batman, The Dark Knight), Sheila stepped away from the film business to complete her Young Adult novel. Her debut novel, Color Blind, won the 2017 Killer Nashville Reader’s Choice Award for Best Fiction YA and was a Finalist for the 2017 Silver Falchion Award for Best Fiction YA. Sheila was also nominated for the 2016 Allegra Johnson Prize in Novel Writing through UCLA Extension Writers’ Program.